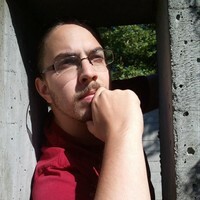 After attaining a Bachelor of Applied Arts in Animation from Sheridan College, Stephen went on to work as a Product Specialist at Side Effects Software Inc, before beginning his career in film and games. He has worked as a visual effects artist and technical director in both fully animated and live action films at Starz Animation, Dr. D, and Digital Domain. Recently, he completed work on Microsoft’s Gears of War 4, Electronic Arts' Mass Effect Andromeda, Star Wars Battlefront II and Battlefield V. He now works as a Senior VFX Artist at Scavengers Studio in Montréal.